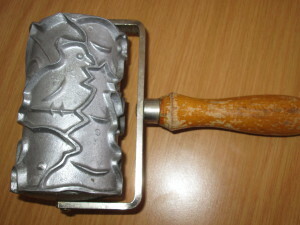 Once a year I use my grandmother’s cookie roller to make Christmas Cookies. 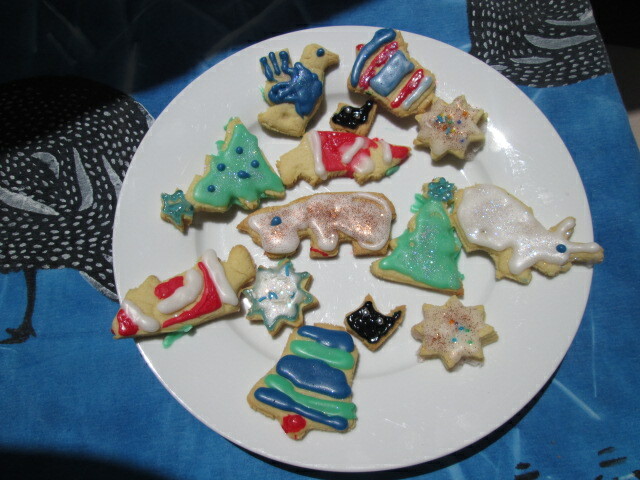 The children help with cutting out the shapes and love eating them. I make these before Christmas day as there is always so much other food on offer on Christmas day. Here is the recipe. Mine look a bit scrappy this year but no one seems to mind. Roll out to a thickness of 4 mm and, using a Christmas biscuit cutter, cut into shapes. If hanging them on the Christmas tree, make a hole in the dough.